Marja-Liisa Kirvesniemi (née Hämäläinen) is the most successful Finnish female Olympic athlete of all time. 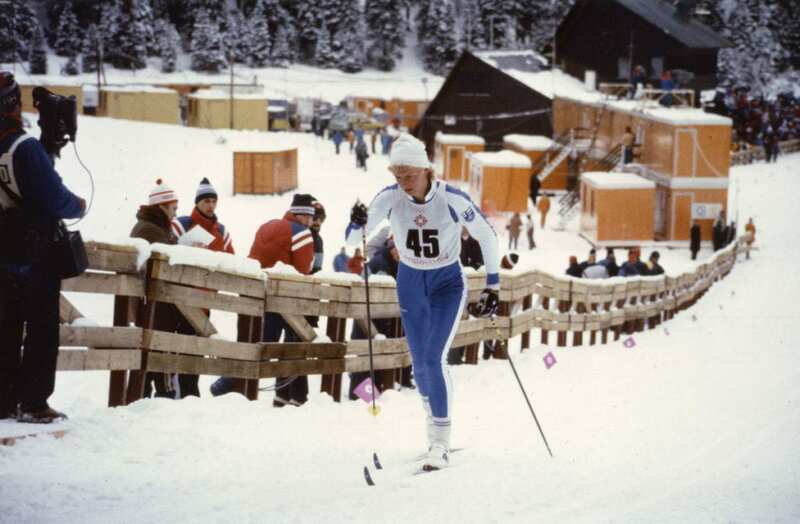 In 1984 in Sarajevo Marja-Liisa Hämäläinen made Olympic history by winning gold in all three individual women’s cross-country skiing races: 5 km, 10 km and 20 km. Another highpoint in her career was the 1989 World Championships in Lahti, where she won gold in 10 km and the relay race in front of home audience. Kirvesniemi retired from skiing after taking two bronze medals at the Lillehammer Olympic Games in 1994. During her long career she won a total of seven Olympic medals, eight World Championship medals and two overall World Cup titles. She also became the first female athlete in the world to participate at six Olympic Winter Games (1976–1994).